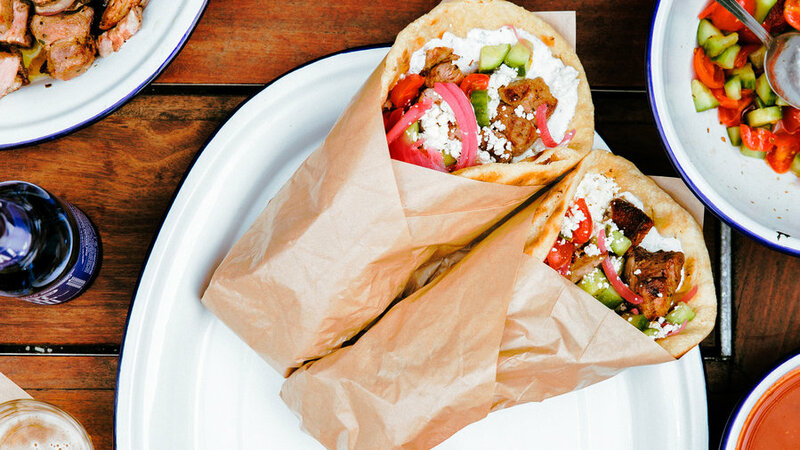 As good as take-out souvlaki can be—and at Souvla, it’s excellent—the wrap is well worth making at home, especially for a party. One sunny day recently, Bililies and executive chef Tony Cervone showed us why. The meat cooked fast and smelled incredible as it sizzled on the grill. Most of the toppings were easy to make and done the day before, so they needed only to be set on the table. But the real revelation was the soft, freshly grilled pita, no relation to the leathery plastic-bagged stuff. Then there’s the camaraderie of a souvlaki party. “Everyone’s drinking wine and working together,” said Cervone. “It’s casual and friendly.” He pulled the last batch of souvlaki off the grill, Bililies doused them with lemon-oregano vinaigrette, and we all dove in, pitas in hand. 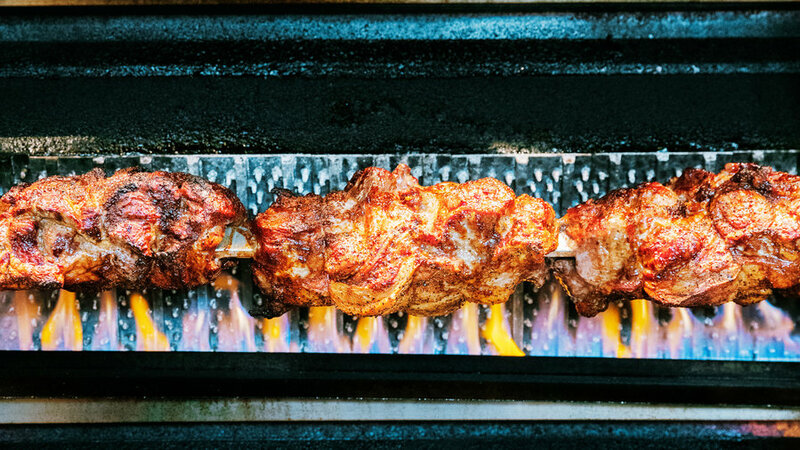 Souvla, or “skewer” in Greek, ­refers to large hunks of meat grilled on a rotisserie. 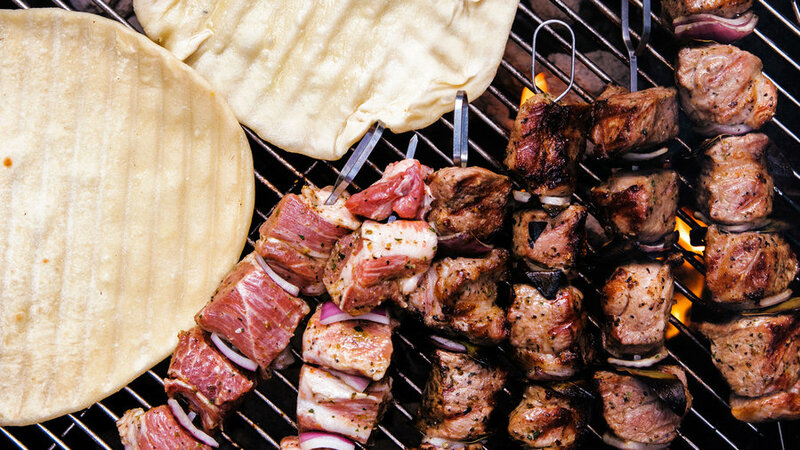 Souvlaki, or “little skewer,” on the other hand, is the quintessential fast food of Greece—cubes of meat cooked on thin skewers less than a foot long. 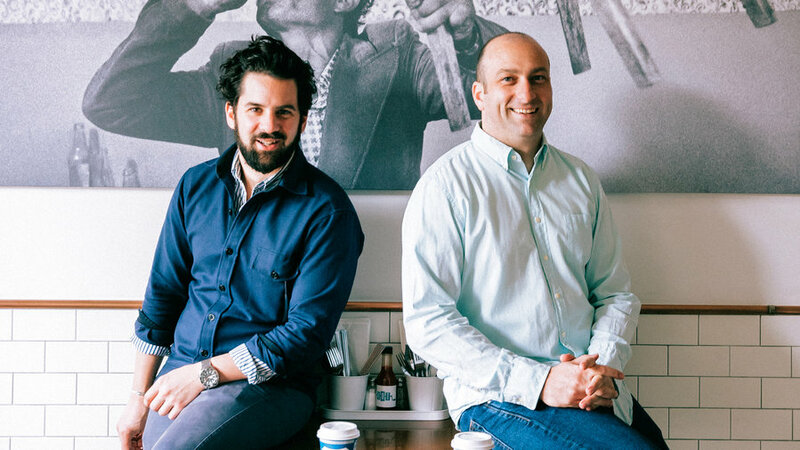 For this skewer recipe, Charles Bililies and Tony Cervone turned their specialty—souvla—into souvlaki, delivering the same delicious flavors, but more quickly and easily. That said, you can always make souvla using the rotisserie on your grill or by roasting the meat in the oven; just be sure to marinate big pieces of meat overnight. Many of us associate souvlaki with roast lamb, but in the back alleys and on the roadsides of Greece, pork and chicken are actually more common. Pile the hot skewers and the warm pita on platters, set out the toppings, and let everyone assemble their own sandwiches. Just make sure there are lots of napkins. 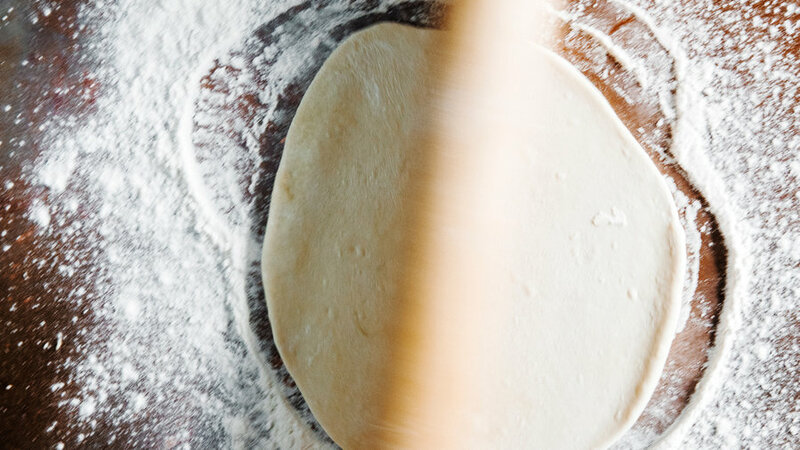 Greek pita are tender and fluffy and don’t make a pocket like Arab-style pita. They’re fine made ahead and rewarmed to eat, but when fresh off the grill, they’re ethereal. 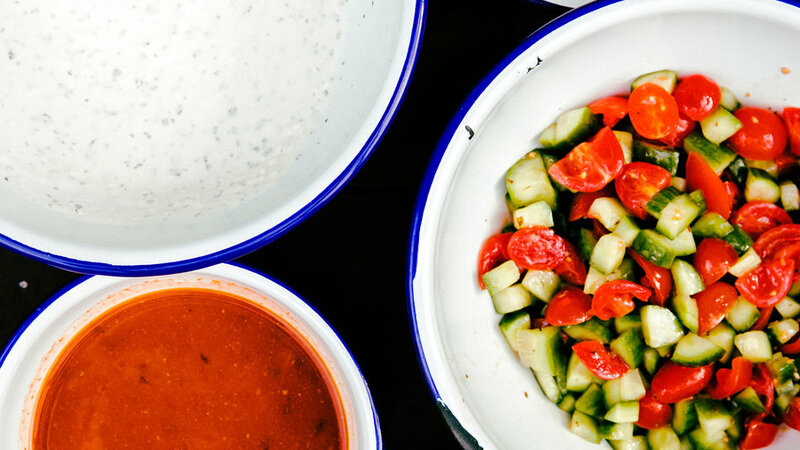 For even more flavor and texture in your souvlaki, add yogurt sauce, feta, crunchy salad, pickled onions, and hot sauce.